The United States intelligence community took square aim at China during its Jan. 29 Worldwide Threat Assessment, accusing the East Asian giant of a prolonged espionage campaign backed by blistering cyberattacks. In what is considered the seminal yearly report of foreign threats to the United States, leaders from six high profile intelligence agencies warned that the “post-World War II international system is coming under increasing strain amid continuing cyber” threats, among other avenues of attack. China topped the list of cyber threats facing the United States. “The Chinese counterintelligence threat is more deep, more diverse, more vexing, more challenging, more comprehensive and more concerning than any other counterintelligence threat that I can think of,” FBI Director Christopher Wray told lawmakers. Questions emailed to the Chinese embassy in Washington D.C. were not returned. The sharp rhetoric regarding Beijing comes just one day after the Justice Department accused Chinese telephone conglomerate Huawei of fraud and stealing sensitive trade secrets. American intelligence officials have previously warned against using Huawei phones out of fears it was a sieve for Chinese intelligence. In August, Fifth Domain reported that Huawei phones are vulnerable to hacking. “China had a remarkable rise in capabilities that are stunning. A significant amount of that was achieved through stealing information of our companies,” Coats, the intelligence chief, warned. The American intelligence community’s assessment of Chinese digital aggression comes during a trade war between the two countries, and after an agreement between the two nations to limit the use of cyberattacks for business intelligence broke down. Experts say that China frequently uses publicly available tools, which are relatively cheap, during their cyberattacks. Their attack patterns are also easy to emulate, and experts say that hackers are increasingly making their viruses look like they came from China. 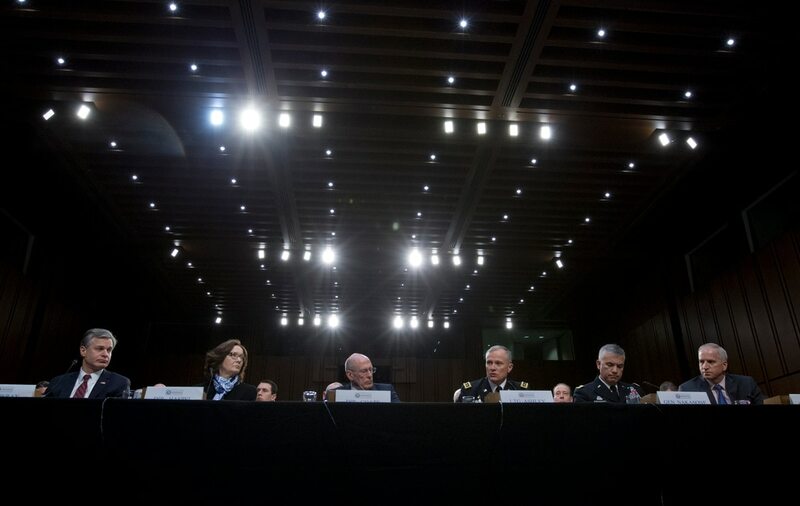 The intelligence chiefs’ briefing also offered insights into how the cyberthreat against the United States is growing more complex. “Foreign cyber criminals will continue to conduct for-profit, cyber-enabled theft and extortion against U.S. networks,” the 2019 intelligence assessment said. “We assess that foreign actors will view the 2020 U.S. elections as an opportunity to advance their interests,” Coats said. The intelligence community assessed that the 2018 midterm elections were targets of foreign nations. Both Democratic and Republican party officials were targets of cyberattacks or misinformation, U.S. officials said. During his testimony to lawmakers, Coats said election security would continue to be a top focus for the intelligence community.